It is always a good idea to drift off your comfort zone and attempt a new genre. 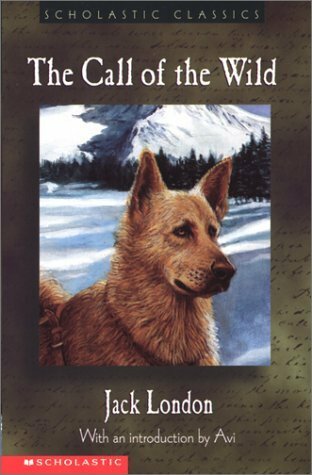 When I picked up Jack London's 'The Call of The Wild' it was as much a dare to myself as it was the comfort that it was a thin volume even if it didn't work on me. I was pleasantly surprised as I got pulled more and more into the life of the half St. Bernard, half Scotch Shepherd, Buck. His growth in character and sheer physical strength through his diverse adventures riveted me. Be it the bleak icy trails or the forest teeming with lives, they were descriptive enough to make one feel like they are witnesses to the landscapes. One is in Buck's mind throughout - one could hear the calls of his ancestral wolf packs as much as he did - such was the magic of London's vivid prose. The book held me in its clutches in a manner not unlike Buck holding Thornton's hand between his teeth in wild loyal love. The Call of The Wild is a brilliant book about the life of a dog that also raises pertinent questions on how we treat the non-human life around us. A must read!